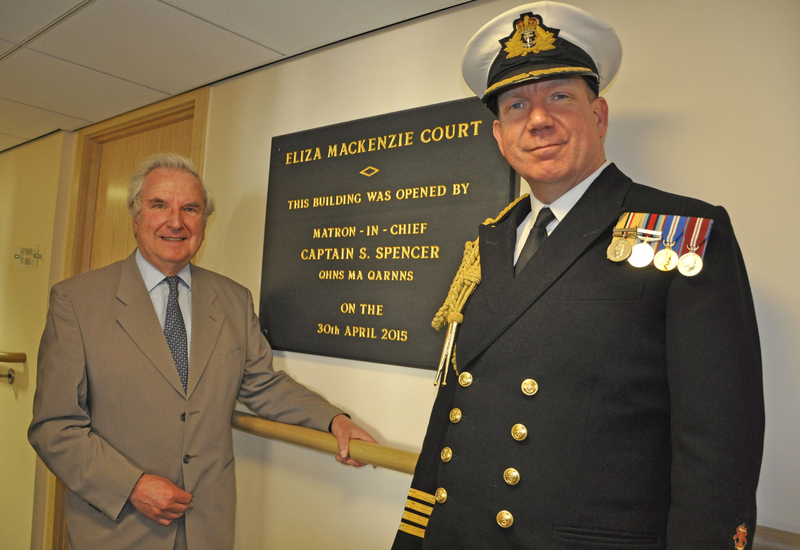 An opening ceremony was held at Eliza Mackenzie Court in Cosham, Portsmouth, on Thursday April 30 and the new 46 home complex of sheltered housing apartments for retired navy and service personnel has now been officially opened after a £3.45 million modernisation and extension programme . Captain Steven Spencer, the Navy’s Matron-in-Chief, did the honours to officially open the new building. Eliza Mackenzie, after whom the complex was named, was the Navy’s equivalent of Florence Nightingale in the mid-1800s. 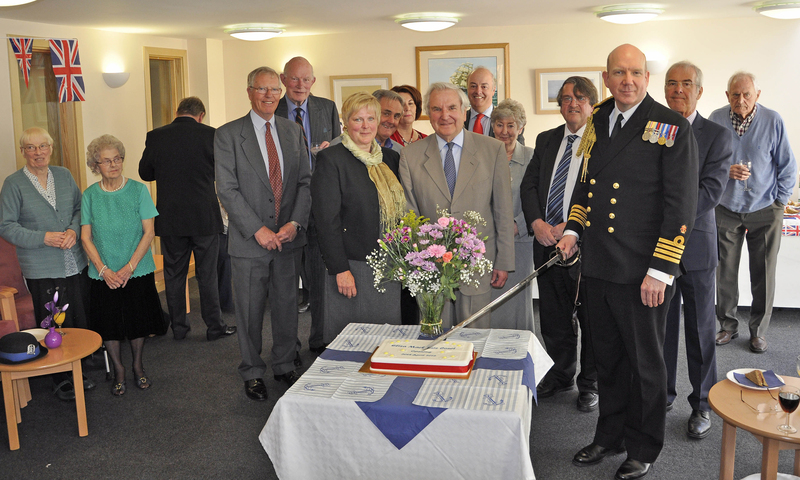 Capt Spencer unveiled a plaque to mark the occasion and using a military sword cut a commemorative cake. The two year-long project at the property in Lindisfarne Close, Cosham has breathed life into an outdated and inefficient 1980s building to provide accommodation and communal facilities for former service people. The social housing complex is home to 57 people and is 100 per cent occupied. Agamemnon Chairman, Commodore Tom Morton RN, said “This is an enormous success for our organisation and is our first new court for many years. It has been a massive investment and is fully occupied. We have got a very long history of looking after our service people and we have worked really hard to deliver this court over the past two years”. Agamemnon chief executive officer Pat Burns said “With an ageing population and budget pressures on the NHS, the benefits of an integrated health, housing and social care system are increasingly recognised. Recent changes to health and social care present opportunities for the sectors to work closely together to improve the care experience now and plan for better services in future. Therefore, Agamemnon is exploring ways to better coordinate and enhance the care our elderly tenants receive with a view to improving their well-being and reducing the chance of hospital admission”. 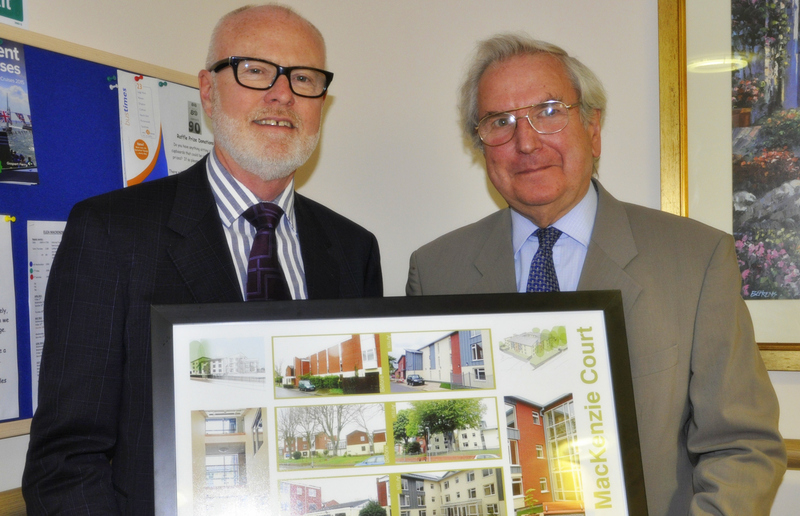 Robert Benn, of Robert Benn Architects in Portsmouth, who were involved in the design of Eliza Mackenzie Court, made a presentation of framed pictures mapping the history of the development to Agamemnon. Guests at the ceremony were entertained with music by four members of the HMS Nelson Royal Naval Volunteer Band. This entry was posted in Uncategorized on May 12, 2015 by agamemnonha. Please click on the link below to see our Spring 2015 News Letter. This entry was posted in Uncategorized on May 8, 2015 by agamemnonha. 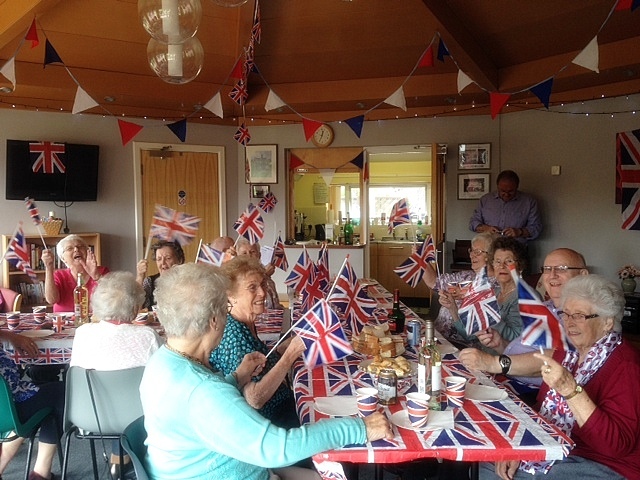 This week our Summerville Court residents organised themselves a VE celebration party. As we can see, everyone involved had a great time!